George Michael in Montreal or Quebec City? Inform me about the next events for George Michael. Enroll yourself to our priority waiting list for George Michael to be alerted when new tickets are available. Filling this form doesn't engage you to any purchase. George Michael, living pop legend, will be stopping by Montreal with his 25 LIVE tour to perform at the Bell Centre on July 18th, 2008. It’s been 25 years since the British singer-songwriter last visited his Montreal fans. After touring in 12 European countries in 2007 and performing for of over 1,3 million fans, George Michael will be taking his tour on the road again. The North American leg of the 25 LIVE tour will be kicking-off in San Diego on June 17th, 2008 and will be travelling across the United States and Canada throughout the summer. George Michael will perform some of his greatest hits, including a few classics from the group Wham! 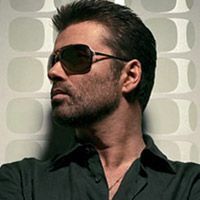 George Michael’s new album, a compilation titled “TwentyFive” was release last April 1st and features 29 songs, including 2 duets, one with Paul McCartney and one with Mary J. Blige. Over the course of his career, George Michael has sold over 45 million albums worldwide.